Sinces theres always a hell of alot of questions about what mods can i do etc i thought i'd start a thread witha list of mods, what they are, what they improve and how much approx cost. and if possible a pic of mod. Its gonna end up huge so please bear with us while we get them all compiled. If you have an additional parts you want or sugetsed to be added please pm me, also any corections. When accelerating, loading on a car changes. The movement forces more weight onto the back end making the car 'sit down' (suspension to compress) and the front end to raise (extend suspension). This happens not only from a standing start but also when driving. when this accours your changing the balance of the car and also the grip level on the tyres. Due to this the front end becomes light and traction for turning and control becomes a problem. The anti lift kit comprises two parts, the bracket and the bush's (although they are usual sold together as same part). 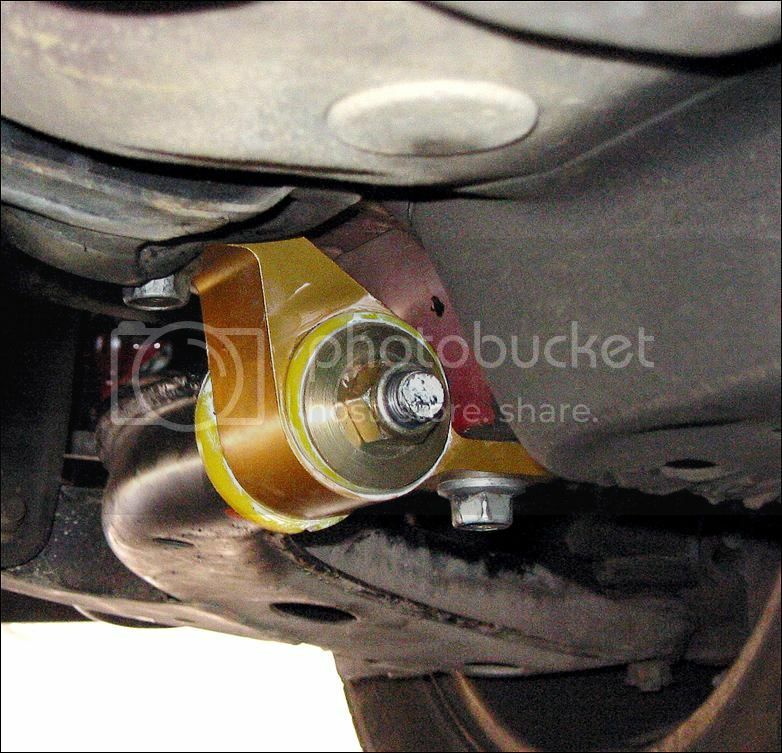 The bush's are made of a firmer material and therefore don't flex as much, the brackets are also stiffer but also changes the location and geometry of the control arm pick-up point to remove the "lift" resulting from the original geometry. The new mount also relocates the arm in another plane to add 0.5 deg. static positive castor. easiest way to understand it, stops the nose of the car going up alot when you floor it. Last edited by skylight; 07 Nov 2006 at 09:47 AM.